It's that time again and there are some classic judge battles in store on this week's episode of The Voice. Up for grabs? X Factor reject Lemuel Knights and Cleopatra singer Cleo. 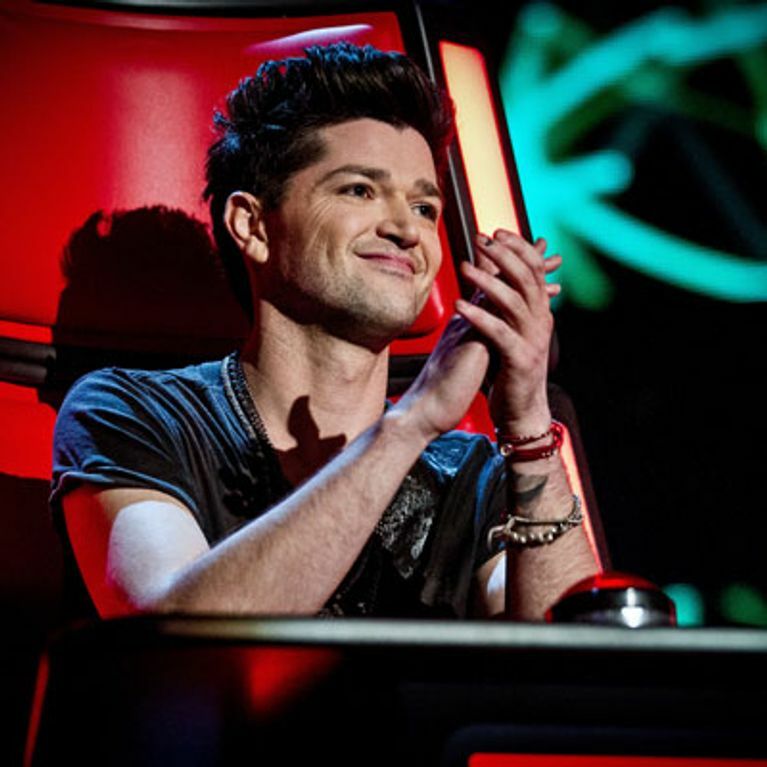 Will they choose hot on the button judge Jessie J or Irish charmer Danny O'Donoghue? Fights and squabbles between judges over potential contestants is not new to The Voice and this Saturday sees yet another battle between Danny O'Donoghue and Jessie J. The frequently competing mentors went head-to-head in a fight to get X Factor reject Lemuel Knights - whose performance will be screened on this Saturday's show - on their team. 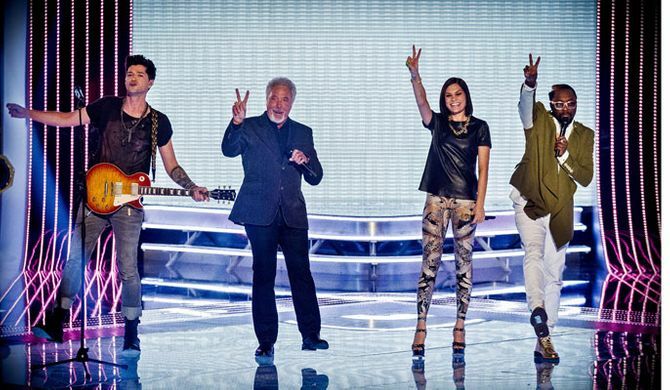 The Script front man went in with some under-hand tactics - trying to put Lemuel off Jessie plus the other judges, Tom Jones and Will.i.am. Lemuel has come close to talent show success before, making it as far as the judges' houses stage in the 2011 X Factor. It was at this point in the show that Gary Barlow told him he'd not been selected for the live shows. Danny, 32, and 25-year-old Jessie obviously saw something Gary didn't. Speaking to Lemuel, Danny bigged himself up: "I've been in the business 15, 16 years, The Script is just the tip of the iceberg. "​If you go into their teams, statistically you'd have a much worse chance of trying to get out of theirs than you would mine. "I don't have any singer like you on my team." In the spirit of competition, Jessie immediately jumped on Danny's suggestion that he has no one with the same level of skill. She said: "That's not nice to put the singers down that you have taken through, who can sing like that." Finding the situation typically amusing, Will.i.am simply commented: "Mummy and daddy is always fighting." But it's not just on the Voice panel that Danny's getting himself into trouble. He has also apparently got into hot water for holding up the show after getting distracted backstage. A source told the Mirror: "Some pretty girls caught Danny’s eye backstage and he couldn’t resist trying to impress them. "He got so caught up with schmoozing, telling jokes and flirting that he conveniently 'forgot' all the about the competition and his duties." They continued, "Producers were absolutely furious and told him his attention span wasn’t up to scratch. It’s expensive to hire a TV studio and he kept everyone waiting, including the other celeb mentors. He bleated that he’d 'lost track of time'." Meanwhile, this week's episode also sees another familiar face taking the stage. This time it's ex-chart-topper Cleo from the 90s group Cleopatra. Her voice was so impressive that it took coach Jessie J just three seconds to hit the red button and perform the quickest chair turn in the show's history. It remains to be seen whether Cleo took this vote of confidence as reason enough to go with Jessie as a mentor. Let's hope so, as Jessie has recently been complaining about the lack of girls in her group. She said: "Girls don't believe in me this year. I might have a little cry you know, for real. "I'm gutted, genuinely gutted. I feel like girls just don't believe in me this year, I feel a bit deflated. "Every single person I've really, really wanted and rooted for has gone with either Danny, Will or Tom." With the return of Britain's Got Talent, tonight will be the only night the two shows go head-to-head in a ratings battle before The Voice moves to a later slot. The Voice was beaten by Ant and Dec's Saturday Night Takeaway both weeks since its return and is clearly not liking its chances against ITV's BGT. Simon Cowell spoke at the launch about the ratings battle: "You've got to remember that they brought this show to the UK two years ago to compete with us. "We were there already on Saturday nights. They're the ones that wanted a competition, we never asked for it, they did. So it's their problem, not my problem." The Voice is on BBC 1 tonight at 6:45pm.